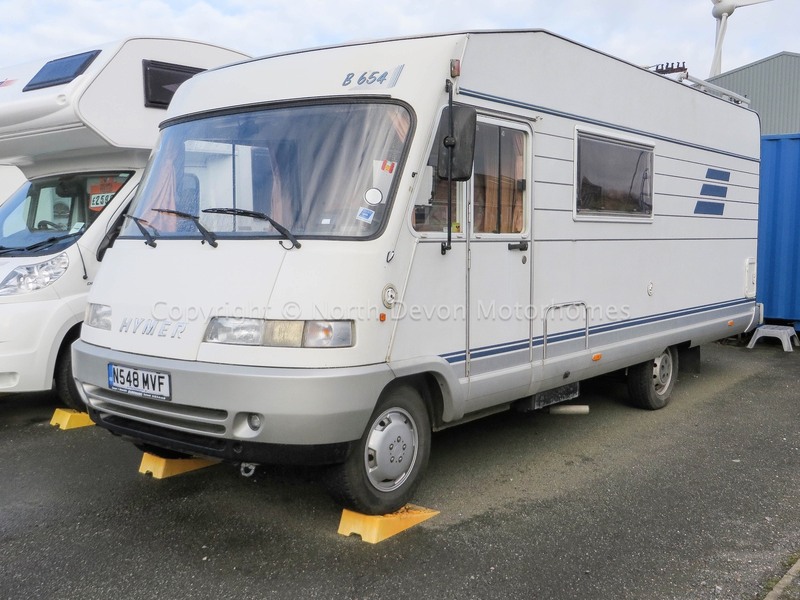 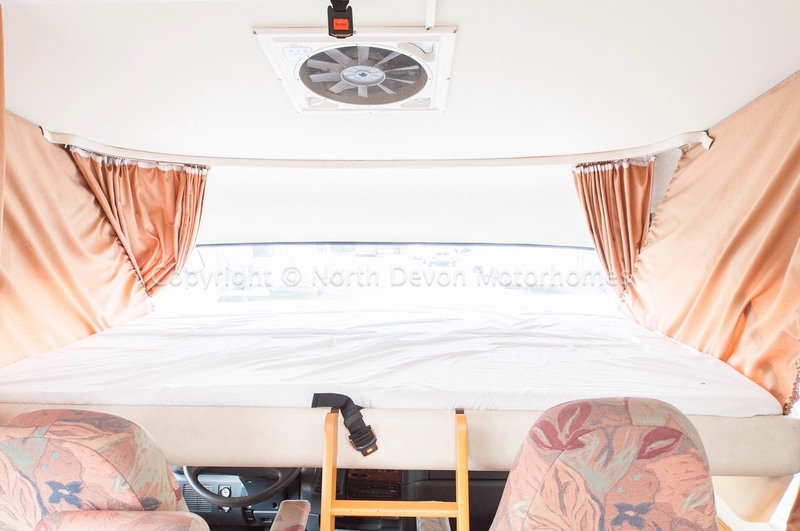 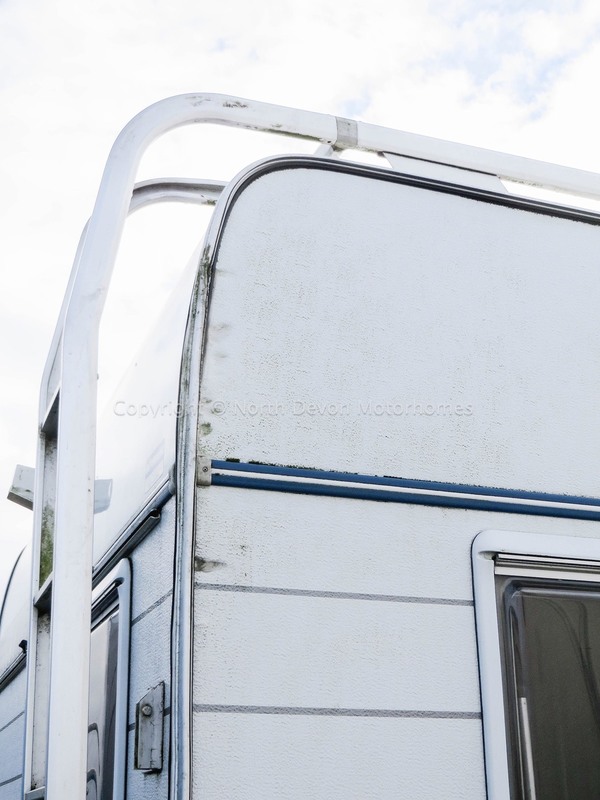 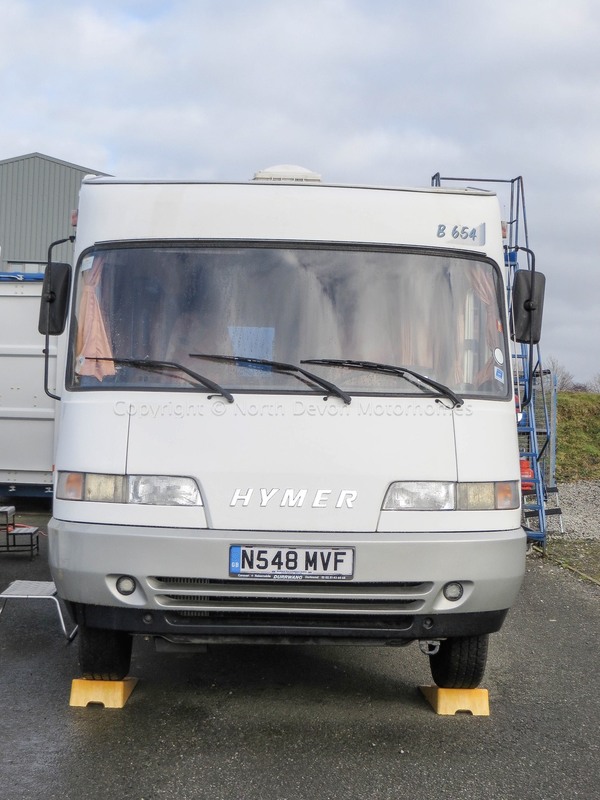 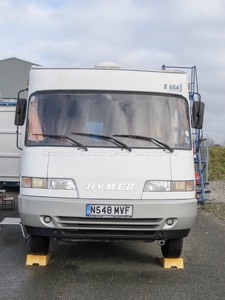 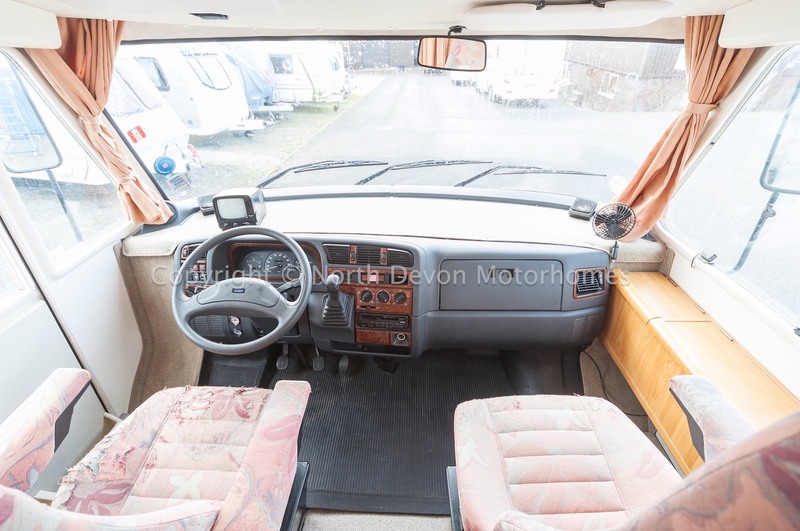 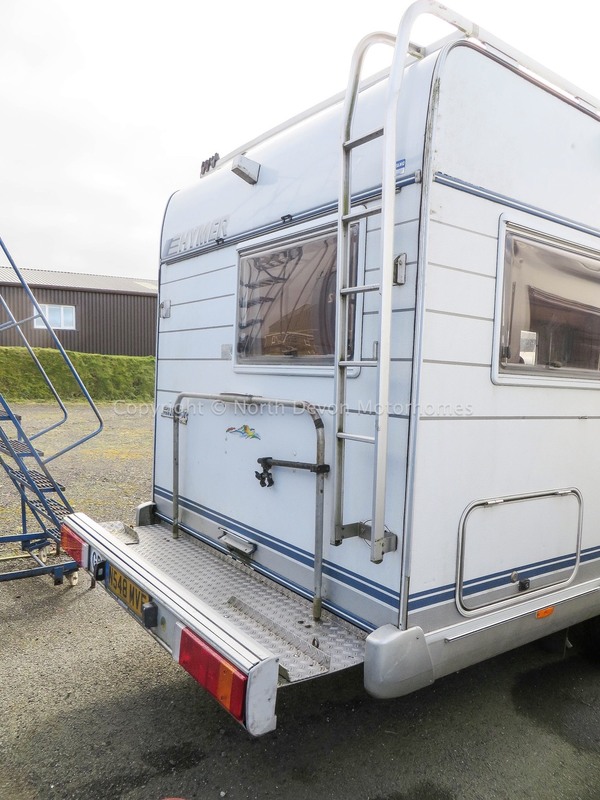 A chance to own a lovely 6 Berth, Low Mileage Hymer showing just 74,000Km (46,000 Miles) in fabulous condition considering it’s age. 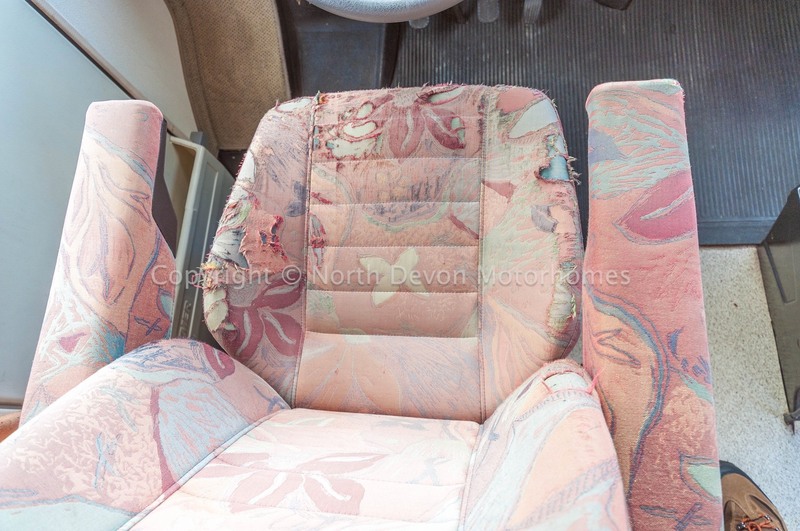 Taken in part exchange, absolute bargain, sold as seen, Trade Sale. 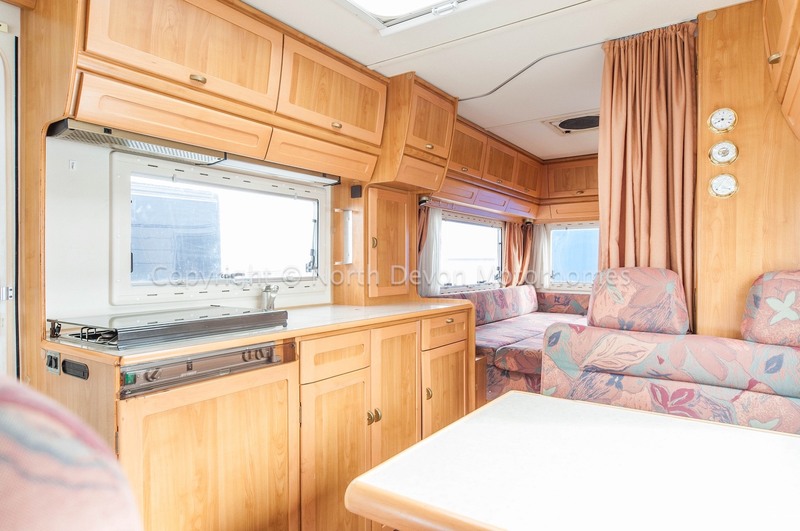 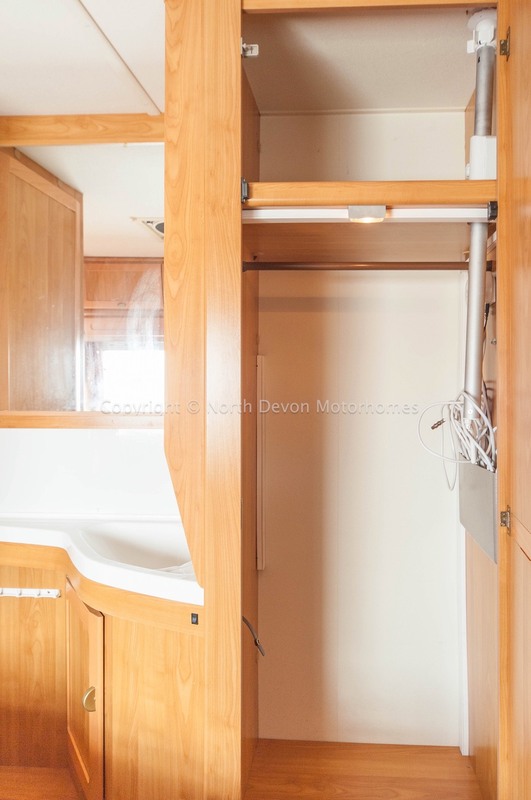 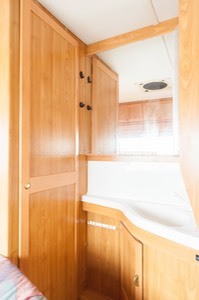 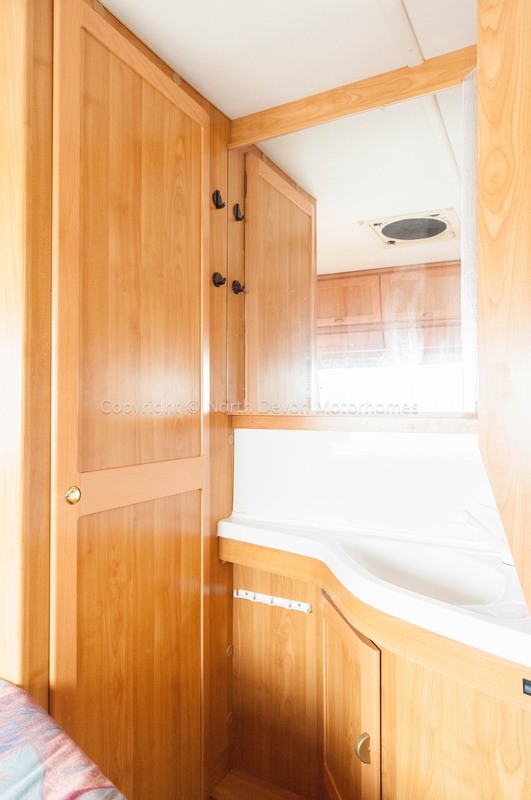 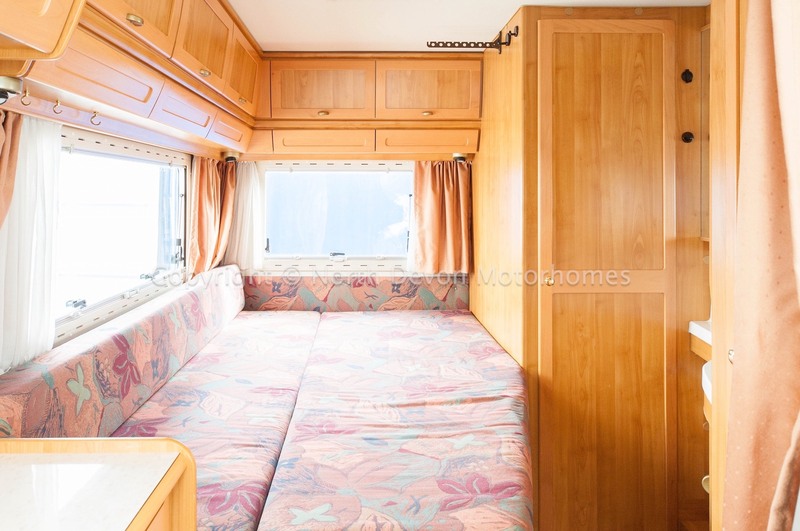 Fixed end French bed, corner washroom, centre double dinette, central galley kitchen, Drop down double bed over cab. 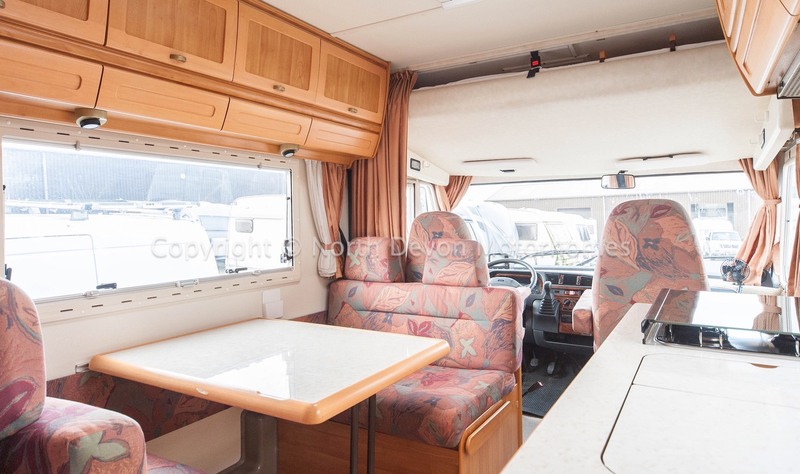 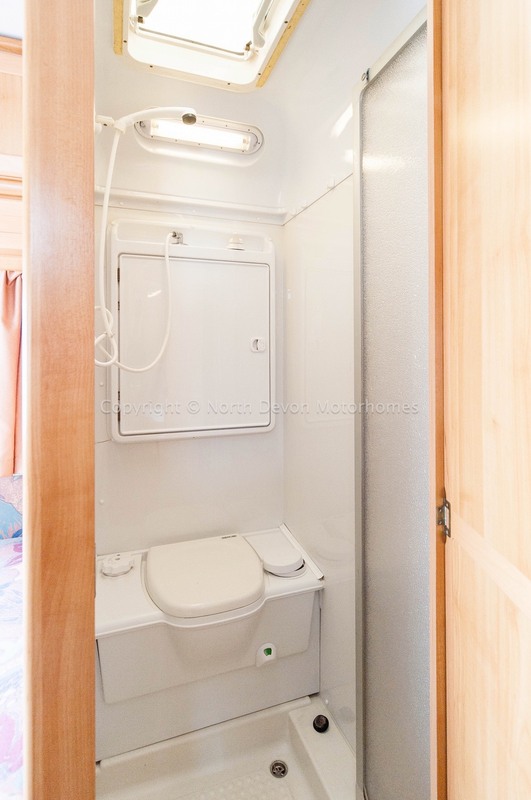 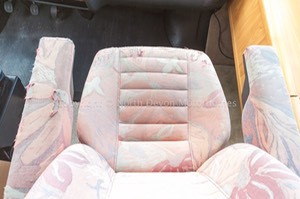 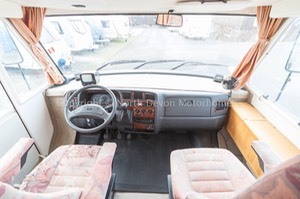 6 Berth, fixed double at rear, centre dinette converts to double bed, large comfortable double over cab. 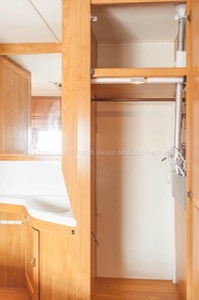 TV station with pull out swivel to bed or lounge. 3 Burner Hob, 1 1/2 bowl sink, 3 way fridge, plenty of low and high storage. 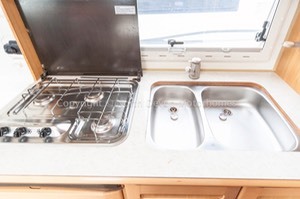 Extractor over hob and strip light over sink. 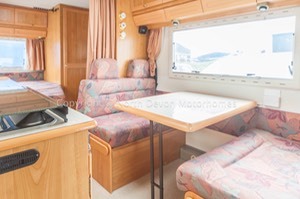 Double dinette, with 4 further seat belts, large table, large rooflight, high level storage lockers. 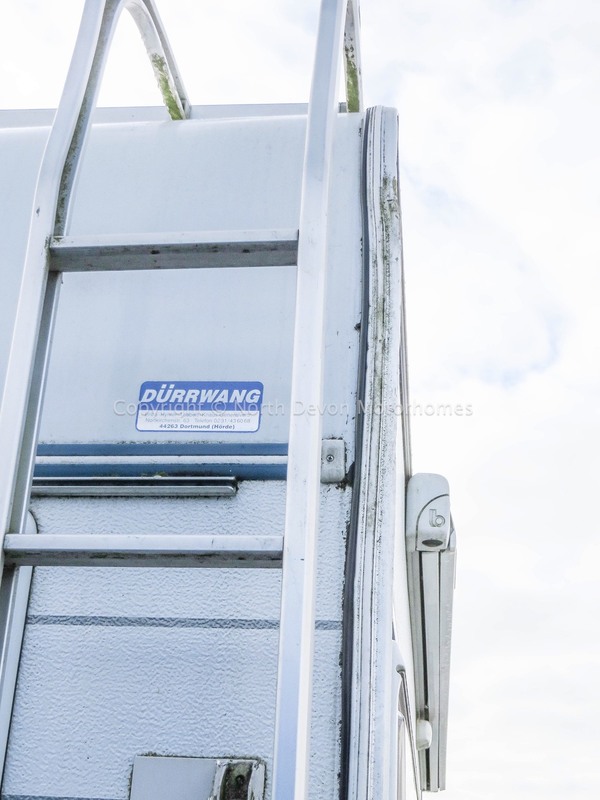 Trumatic combination boiler supplying hot blown air heating and hot water throughout the van. 240V hook up, leisure battery, Zig Charger unit, fresh and waste on board tanks, double glazed windows with nets and blinds throughout. 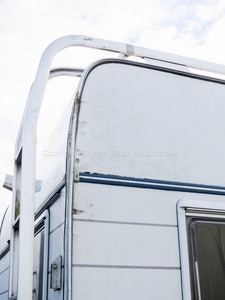 Awning with attachable Safari room complete with assembly DVD! 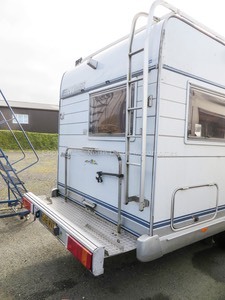 Scooter rack at rear of vehicle, Air Ride suspension front and rear. Electric Step.